Once every decade or so, this town of 15,000 becomes the focal point of the golf world when the Open Championship is held at Royal Troon Golf Club. Such is the case this week, as the course hosts the 145th playing of golf’s oldest major tournament. For TV viewers in the United States—and golfers disinclined to travel—the Open has always seemed an anomaly. American golf is played from lush fairways, around and over pretty water hazards, and onto receptive greens where incoming shots spin dramatically back toward the hole. On the historic links courses of the Open, balls scuttle across a featureless, lunar landscape, where the only shelter from inclement weather is behind the thick gorse bushes into which many an aspiring champion has seen his ball (and dreams) disappear. The turf is firm, fast and fickle. An approach shot must land well short of the green then navigate its way toward the flag, running over humps and hollows, hopefully avoiding a cruel deflection into the cavernous pot bunkers. And all that before you add the predictable pressure of a major championship and the unpredictable (but seldom affable) weather. That also distinguishes the American game from its ancient forerunner. In Scotland, professional golfers, like livestock, are expected to continue working in foul conditions. For fans weary of watching golfers make a barrage of easy birdies in perfect sunshine every other week, the Open is a joyous spectacle of suffering. It is also a solitary reminder of how the game used to be played, how it ought to be played and how it is starting to be played again in America. The infamous ‘Postage Stamp’ 8th hole at Royal Troon. Most major golf tournaments are tests only of execution (accurately hitting a ball from point A to point B) and patience (keeping your cool for the five hours-plus that pros require for 18 holes). Thanks to the nature of links golf and the attending meteorological vagaries, the Open alone also tests imagination. The men and women who play golf for a living like predictable working conditions: consistent rough that gently chides rather than punishes the wayward, straightforward recovery shots around the greens, and bunkers that are more nuisance than hazard. Limiting options and forcing everyone to play golf the same way—execution over imagination—explain the dreary sameness presented to fans every week on America’s PGA Tour. It is only one week a year when all of the world’s best are presented the beguiling conundrum of a British links. But for those of us who don’t (and can’t) play for pay, it is America that is leading a renaissance of this classic style of golf. In 1994, the über-private Sand Hills Golf Club opened in Mullen, Nebraska. If that sounds like the middle of nowhere, that’s the point. If you want to build a course dictated by the contours of the land and not the heavy hand of an architect, where sand dunes dot the landscape and wind is ever-present, you end up in places like Mullen. The American links golf resurgence is rooted in the theory that if you build it, die-hard fans will shoulder their clubs and follow you. Sand Hills earned the kind of reverence Nebraskans were accustomed to seeing directed only toward Warren Buffett, and it quickly became an oracle for the game in the U.S. It inspired Bandon Dunes, a resort in southwest Oregon that may be the finest golf destination west of Saint Andrews. Opened in 1999, it now boasts four highly regarded courses that, while entirely distinct from one another, epitomize the character and challenges of the ancient Scottish game. Bandon’s creator, Mike Keiser, is now at work on Sand Valley, a multi-course resort in the dune land of central Wisconsin. “I’m going to keep building courses until I run out of money,” he has said. Others followed his example and quickly won the support of links-starved golfers. Streamsong Resort, built on a sandy former phosphate mine 90 minutes south of Orlando, Florida, will soon open a third course. 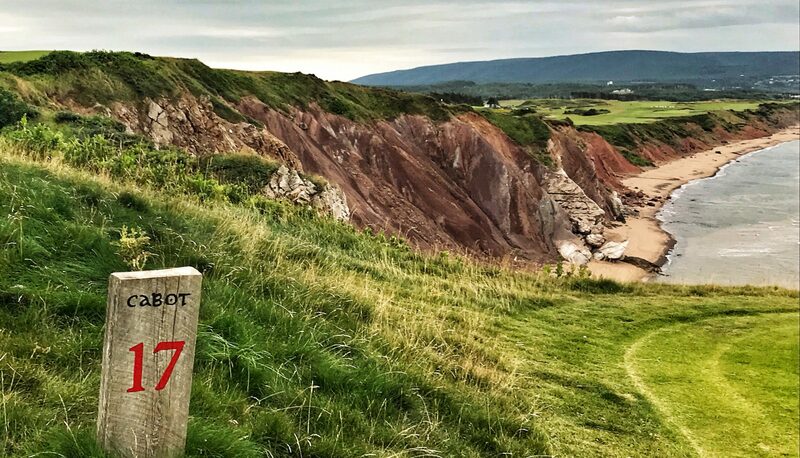 And north of the border, the two layouts at Cabot Links on Cape Breton Island are more evocative of old Scotia than of Nova Scotia. What was foreign has become familiar to fans who for many years had to be content experiencing links golf from the couch. Today, it is a short flight away, passport optional. And that is perhaps why the Open Championship—first contested three weeks before Abraham Lincoln was elected president in 1860—has finally morphed from a little understood oddity among American fans to arguably the most respected of golf’s four major tournaments. Golfers see the game as a battle between man and nature, where imagination and attitude can be weapons today but liabilities tomorrow. The Open is all that, writ large. Sure, they’ll draw inspiration from the triumph of whoever is declared “champion golfer of the year” on Sunday afternoon. But they’ll also find dark humor in the disasters that will, inevitably, befall the champion and his challengers along the way. No one will leave Royal Troon unscathed, even the victor. To claim the coveted Claret Jug, one golfer will have been not just better than his 155 fellow competitors but more persistent, perhaps luckier, but certainly more adaptable to the whims and perils of the links. And that trait—stoic substance rather than breezy panache—is much admired in Scotland. — Published at Newsweek.com, July 13, 2016.